Argentina vs Algeria Live Score Rio Olympics 2016 Live Streaming ALG v ARG Match Preview Prediction 7th August: One of the most watched sport across the globe is the only one which started before the official opening ceremony of Rio 2016. We have already seen some good matches. All the international teams have come up fully prepared. That’s the reason the Olympics has witnessed some of the most amazing performances and results in such a short span of time. Tonight, Argentina and Algeria are going to play against each other and need a win at any cost. Thus, it becomes an exciting game to watch. Argentina has always been favorites in the history of the Olympics and won the title two times so far. Thus, it has been considered as one of the strongest sides in the sport. However, they disappointed the fans by losing to Portugal in the first game this season. Similarly, Algeria also lost to Honduras. Now, both the teams are looking forward to winning this game anyhow to get some confidence back. As of now, both the sides are at the bottom of the Rio Olympics points table 2016 in the group D. This encounter has become more important as only the top two teams will proceed to the next round, i.e., quarterfinal and after that the final of the competition. Argentina has star players like Angel Correa who plays for Atletico Madrid and Manuel Lanzini who plays for West Ham. Both of them will be required to score some goals to make their team win. Argentia lost to Portugal even after receiving chances to score in the previous game. They failed to convert them into goals. So, they need to practice a little more and don’t spare any more chances to score. Their team effort will decide if they will win or not. Also, the consistency will play a significant role. The coach of the team already knows that every single upcoming game is critical, and if they want to go into the quarterfinals round, then they will have a win each one of them. “We can’t let one more loss to take place. We have only two games left. We still have the chances and will try our level best to achieve the target,” coach Olarticoechea told TRT. On the other hand, Algeria has got even the tougher task than Argentina. Though Algeria will come up prepared better, Argentina won’t spare a single chance to score goals and play their best. Algeria will have to choke their opponents on Sunday if they want to win it. 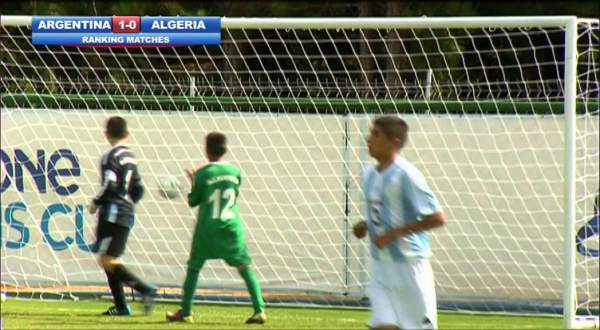 By stifling Argentinian players, Algerians would restrict their players to play around and have a counter-attacking game to turn the match in their favor. Algeria also has chances to win it. Argentina will be favorites once again, but they can’t take Algeria lightly. Arg vs Alg is set to start at 6 p.m. local time (10 p.m. BST, 2.30 a.m. IST). Below is complete live streaming and TV information. Brazil: TV: ESPN. Live Streaming: ESPN Play Latin America. Argentina: TV: ESPN Live Streaming: ESPN Play Latin America.